Kim Faler: This Must Be the Place features a video and sound installation that is a large-scale projection of a very small moment. 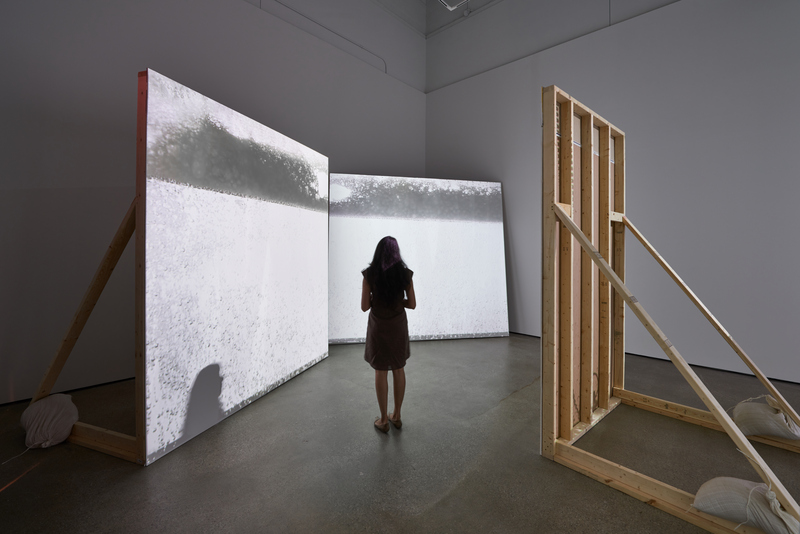 Based on the Mary Oliver poem I Go Down to the Shore, the piece begins with the slow drip of water, amplified in scale and projected across multiple wall constructions that lean against and interrupt the gallery space, asking the viewer to navigate in and around this false architecture. As the water rises and falls within the gallery, the emotions of both anticipation and release are pressed against one another in a cyclical pattern, slowly creating a sense of beauty within the turbulence. Faler’s sculpture, installations, drawings, and photographs explore the functionality found within architecture and design and contrast our emotional understanding of these everyday objects against their assumed logic. 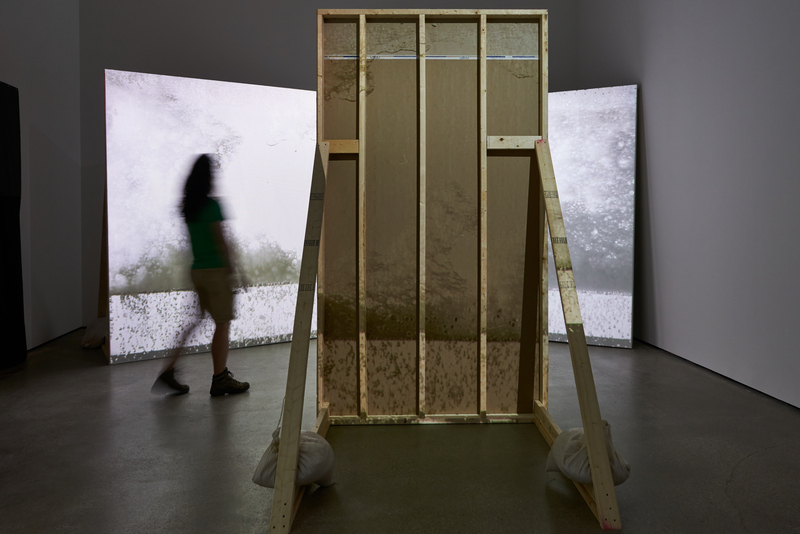 Her material-based works have been exhibited internationally and throughout the United States, including exhibitions at the Massachusetts Museum of Contemporary Art (MASS MoCA), North Adams; Art Dubai, United Arab Emirates; Sp/Arte, São Paulo, Brazil; Mixed Greens, New York, New York; and at the David Winton Bell Gallery at Brown University, Providence, Rhode Island. Faler has received numerous grants and residencies, including the Joan Mitchell MFA Grant; a U.S. Fulbright Scholarship (to Brazil); the Robert Rauschenberg Foundation Residency, Captiva, Florida; and the Artpace International Artist-in-Residence Program, San Antonio, Texas. She received her BFA from Ohio Wesleyan University and her MFA from the Cranbrook Academy of Art. She lives and works in North Adams, Massachusetts. Kim Faler: This Must Be the Place will be on view at Beeler Gallery’s Project Room at Columbus College of Art & Design from Sept. 7 through Oct. 29. Faler will talk about her work as part of the Beeler Gallery Visiting Artists & Scholars Series on Sept. 14.